That time of year again.... Fantasy Football league for scooterists - If you were in it last year you'll join when you enter your team (fantasy.premierleague.com). I've got a Breathe Sweet on my Avanti and occassionally suffer the same problem. However, I've traced it back to the choke cable outer which can move a bit and pull the cable on slightly. 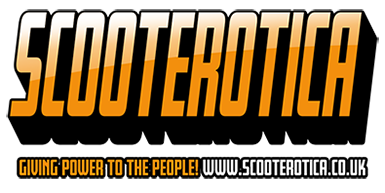 If you were in the Scoot Fantasy league last year, you'll be entered automatically. If you're joining for the first time use the code above. Topic: any long term Avanti kit reports? Re: any long term Avanti kit reports? victor wrote: If you connect it to AC, does it have an internal battery to remember the settings? I suppose it does, as it's normally wired in to be powered on only when ignition is on but can anyone confirm? However, on some of them you have to reset the clock periodically.